We had a fun week working on division, imaginative writing, and reading like crazy, but the highlights had to be Pentopia Market Day and welcoming our new hamster. That furry little creature has ignited imaginations in writing and math. The children are working on multi-chapter, or episodes, of a hamster adventure, and are designing a dream hamster home where they’ll revisit area and perimeter, and the distributive property of multiplication. This next week, solar ovens will be tested during science lab. We need a donation of hershey chocolate bars, graham crackers and marshmallows for Tuesday. Post in the comment section if you can make a donation. The STEM Lab chicks are due to hatch, so check this live streaming beginning Sunday afternoon if you want to watch the process! Spelling words will come home Monday. We had a glorious week with the end of testing and getting back to normal, and normal feels really good! We read earth-themed literature, explored Google Earth, wrote about the themes of stories and cited text evidence, worked on division facts and strategies, and began our study of the 3 branches of government. We set up A.R. teams who are in hot competition to read and take quizzes. Children all want to meet the individual goal so that they can attend the “gold level” 3rd grade event May 18. Of course, the whole point of this is to get the children charged up about reading—if they aren’t already—and get them to that million words a year that is proven to make for great readers! I won’t be sending home a spelling list this week as I feel the need for an assessment to see where your child stands in his/her spelling development…and I’ll share the results with you at the end of the week. 🙂 Use the spelling time to practice multiplication and division facts each night. Fluency is expected at the end of 3rd grade. Career Day is Friday, so we’ll have lots of fun thinking about the future! 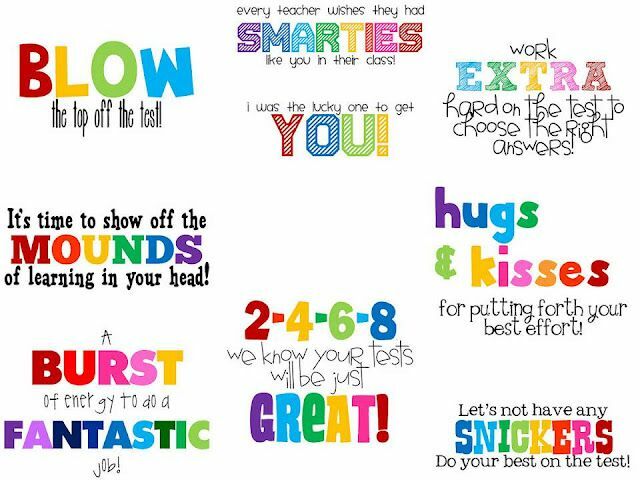 The children have been terrific during testing ~ hard-working, focused and calm! We have 2 more days of math testing, and then we’re through! A shortened homework packet will go home, but there will be no spelling. Use extra time to work on multiplication facts mastery, if needed. This Friday is the foundation sports day, so children are invited to wear a hat and/or shirt supporting a favorite sports team. I’m wearing the UGA shirt all of you got me! Our first Pentopia market day was a screaming success! We only had 3 vendors, but the children quickly learned that they could sell services, so we had numerous “therapists” giving shoulder rubs. Some products were not successful, so our entrepreneur students will be rethinking their products. We have market day every Friday, so it gets better and better. The children love it so much, they delay recess for it! I was having so much fun, I forgot to SeeSaw photos to you, but I’ll do it next week! I hope you’re enjoying your spring vacation! I am enjoying my time at home being an “on call” grandmother! The week before spring break was filled with highlights. First of all, thank you all again for making teacher appreciation week so special for me! Celebration of the Arts on Friday was so much fun. There is nothing like spending a day in school doing and making things, and it results in very content children. Ms. Rausch and her arts crew put together a truly epic day at Kincaid! Get ready for Milestone testing week. Testing begins on Tuesday. Students will take the English/language arts sections of the test on Tuesday, Wednesday, and Thursday (April 10-12). The math sections will be taken on Monday and Tuesday (April 16 and 17). Please help your child by making sure he/she gets plenty of solid sleep and eats a big breakfast. We will begin testing at 8:00 a.m. so it is vital your child to be here on time and ready to begin. It’s important for children avoid testing stress, but at the same time, take the test seriously and give his or her best effort. Thank you for your help! Our first Pentopia market day will be Friday. The children have been working and earning bucks, and now they’re ready to spend them! The children can sell products and/or services Friday. They will have to tap into their own entrepreneurial skills to figure out what to sell, and at what price. Your child will benefit from a bit of your own expert advise, but remember, the most powerful learning comes from their own discoveries, and trial and error. Examples of popular products/services in the past include toilet paper roll minions, origami ninja stars, cubby/desk cleaning service, guitar performance, artwork and homemade treats. Friday is Foundation sports day. The children can wear a shirt and/or hat supporting a favorite team!